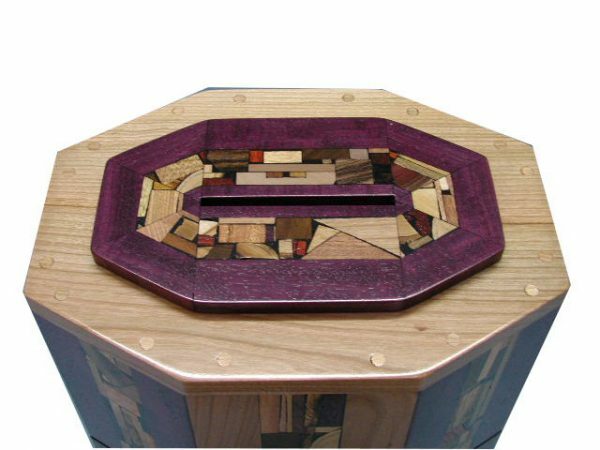 This wooden synagogue sized tzedakah box is decorated with 8 large panels of hand inlaid multi-wood mosaic decoration using over 30 different species of wood from the world over. The colors you see in the woods shown, are actually the real colors of the woods. I use no stains or dyes. There are additional mosaics on the top. 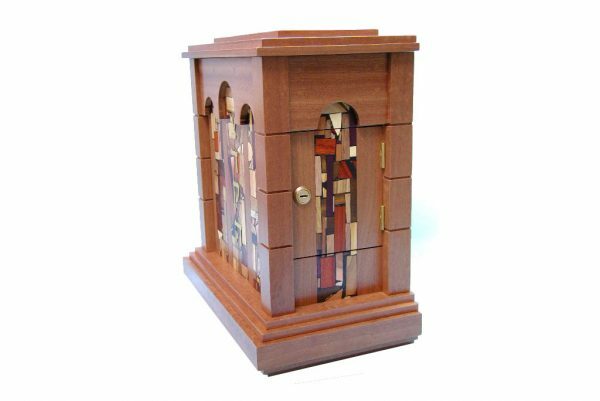 It has the Hebrew word, tzedakah ( righteousness), in brass, on the front mosaic panel, a side door for easy access to donations with a lock and 2 keys. 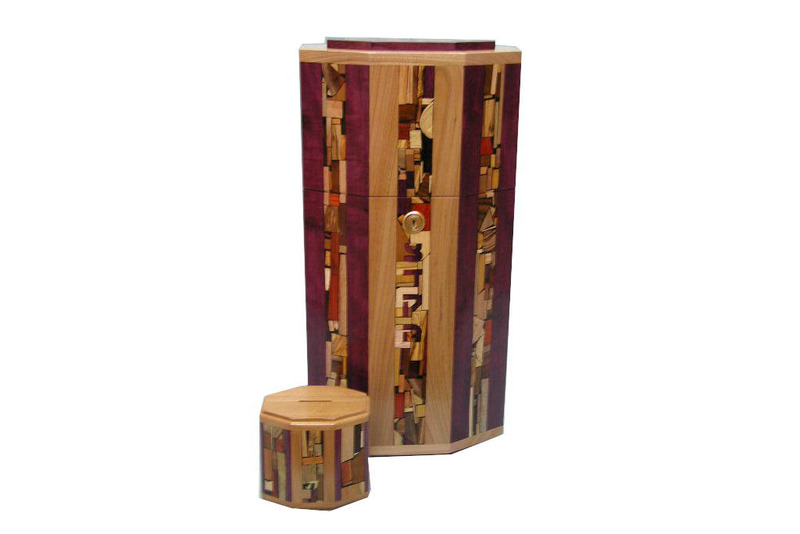 It can be secured to a shelf, or a base, or fitted with an integral wall hanging system. This is a custom order at Etz-Ron and the measurements can be changed to fit your synagogue’s needs. 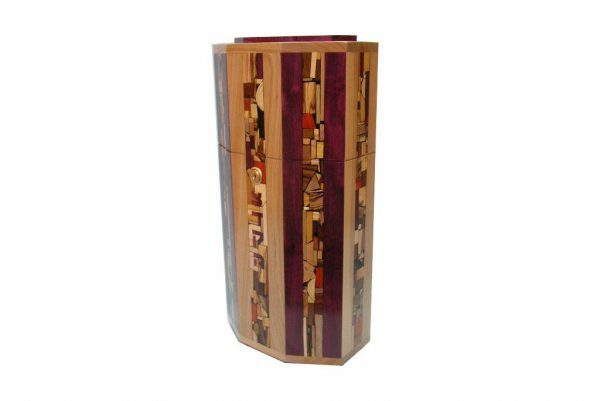 Contact Me – I listen well to your ideas and together we can create the ideal tzedakah box for your place of worship. Prices start at $2355. Lead time: 6 weeks. 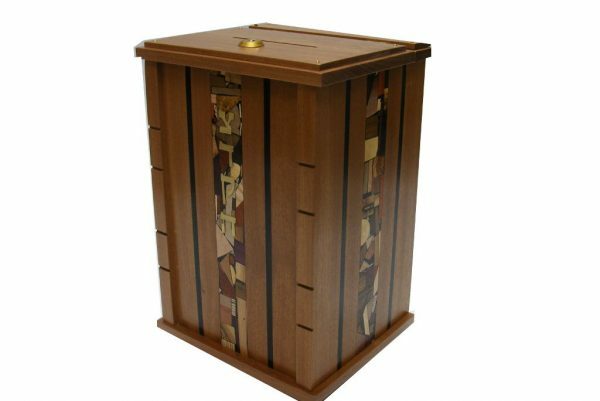 A dedication plaque of up to 30 characters can be added for a small fee. Free shipping does not apply to this over-sized item.